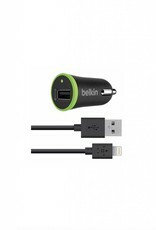 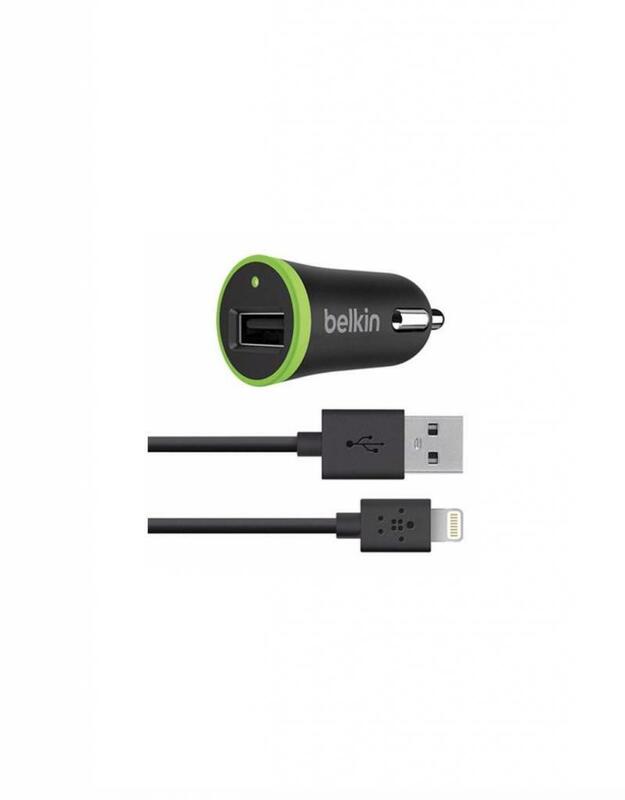 The Belkin BOOSTUP Car Charger with ChargeSync Lightning Cable in black includes a car charger and Lightning to USB 2.0 cable. 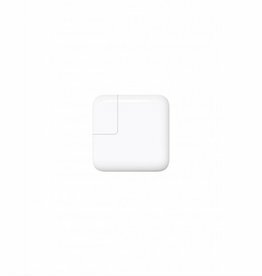 You can charge your Lightning devices 40% faster. 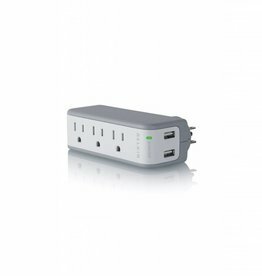 Plug your iPad Air or iPad 4th generation tablet into the BOOST UP and go from 0 to 100% battery in 6.2 hours (compared to 10.3 hours with a regular 5-Watt charger).